I was called into a local shop for this one. Another shop replaced the motor for high mileage as the customer requested. When the vehicle wouldn’t start after the work had been done, they started to replace parts. A new crank sensor was installed. Then cam sensors were replaced. After trying the parts route they sent it to another shop. That shop couldn’t find the problem and called me in to check the PATS system. 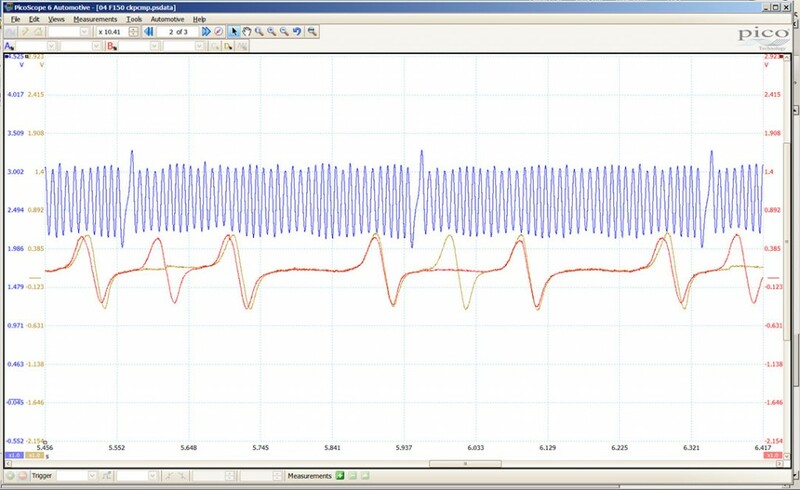 After checking the PATS function and finding nothing wrong, I suggested we check the crankshaft to camshaft correlation. The shop declined my advise. They called me back to program a replacement PCM. I did as they asked and after the programming was completed, the vehicle still would not start and had no codes stored. I suggested without knowing the base operating conditions, we could throw parts at it forever and never fix it. They authorized the time to do the CKP/CMP correlation verification. I found the valve timing off by 15°. The engine builders improperly installed the cam chain by 15° advanced on the crank gear. Both cams are in sync with each other, but they missed the crank timing. This truck has been down for a month and the customer is upset to say the least. Now they are forced to remove the front timing covers and reinstall the cam chains to the proper specs. This will cause another week of wasted time and the customer is paying for his own rental car. 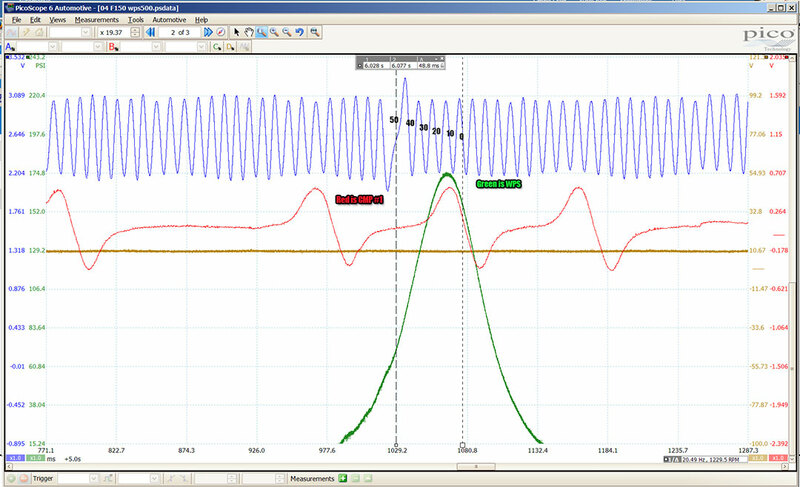 This LAB Scope image shows the 15° advance of the timing chains. The image below it shows the cams for bank 1 and bank 2 are in sync. This can only be done with a LAB Scope. Replacing parts without knowing what the real problem is, is a waste of time and money.